Alaska became the 49th state on January 3, 1959. 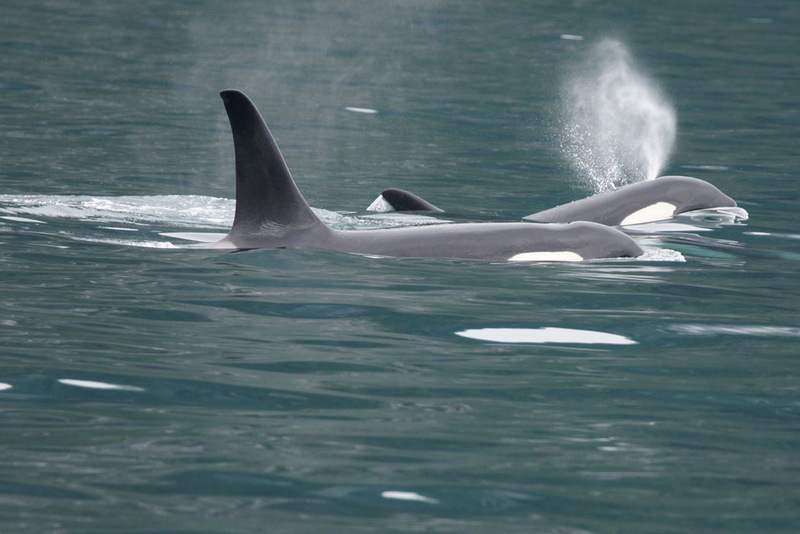 The capital is Juneau and it is the only state capital that can only be reached by air, boat, or birth. The largest city is Anchorage. 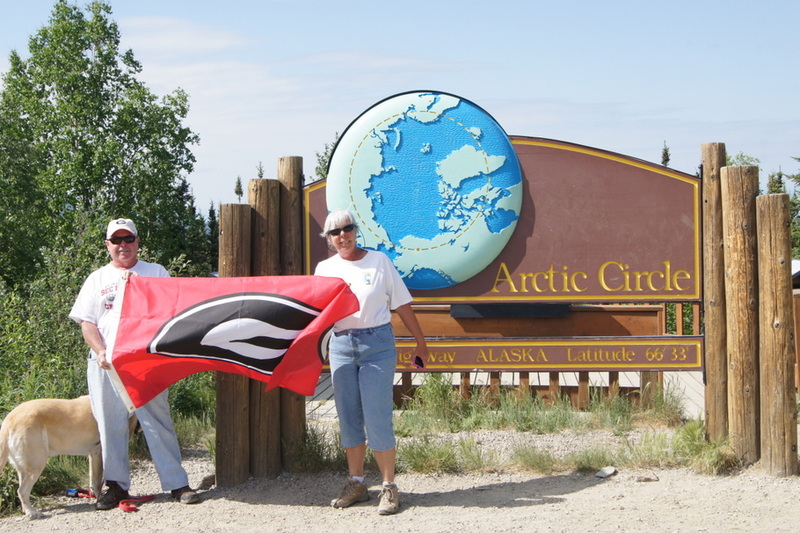 We spent 50 glorious nights in Alaska in the summer of 2013. I loved meeting so many wonderful Alaskans and hearing their stories. 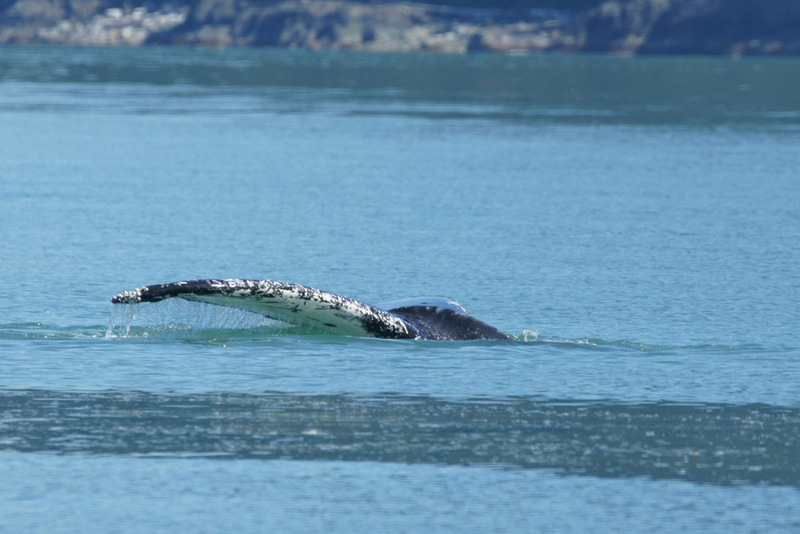 Wildlife, glaciers, boat trips, a flight seeing tour, eagles, halibut fishing, Denali National Park, taking the RV on the Alaska Ferry from Skagway to Haines, and a train ride on the Alaska Railroad are just a few of the amazing things we experienced while we were there. Our favorite place was Haines. 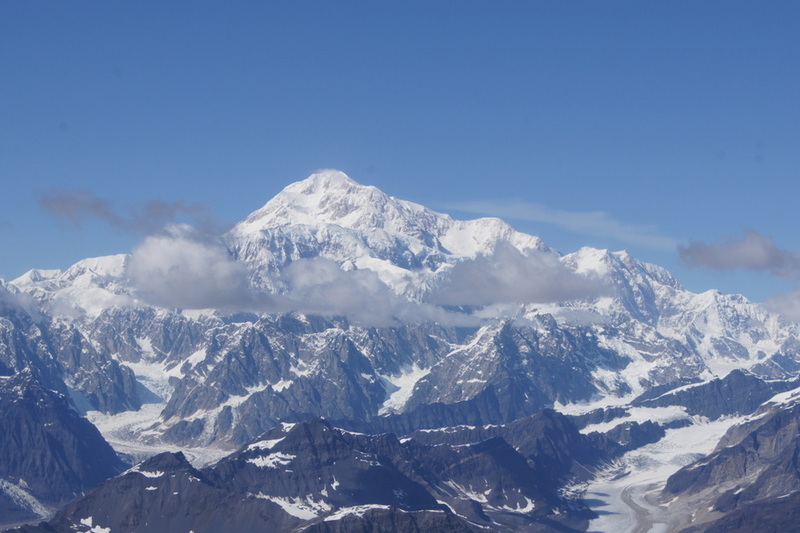 The most exciting thing we did was take a flight-seeing tour from Talkeetna to see Mt. McKinley and land on Ruth Glacier. The farthest north we went was Coldfoot, north of the Arctic Circle. The signposts show other towns named after chickens. Who knew there were so many? Four of these fish are ours! Do you see the profile of a face on the right side of the rock? Every day was memorable, every day was special, every day we saw something spectacular. Was it worth driving over 14,000 there and back? Absolutely! 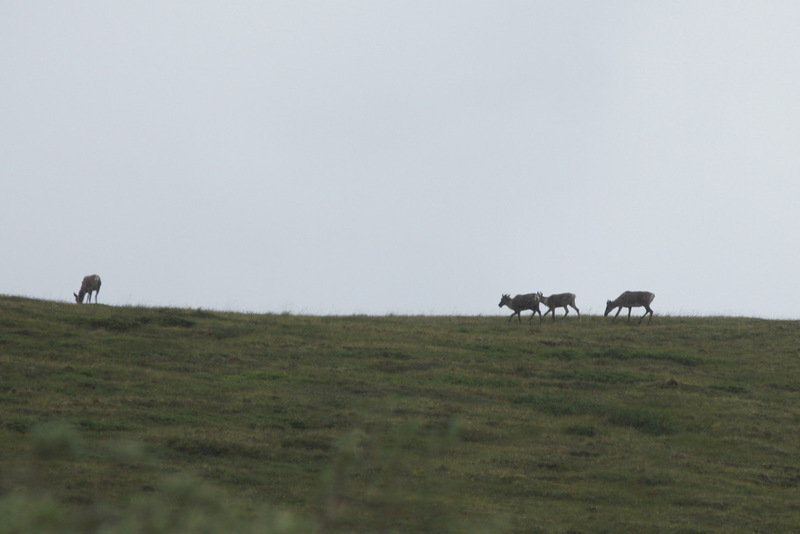 Although we left Tok, Alaska almost a month ago, our memories of Alaska will never leave us. Here, in no particular order, are a few photos of some of our favorite places and adventures. 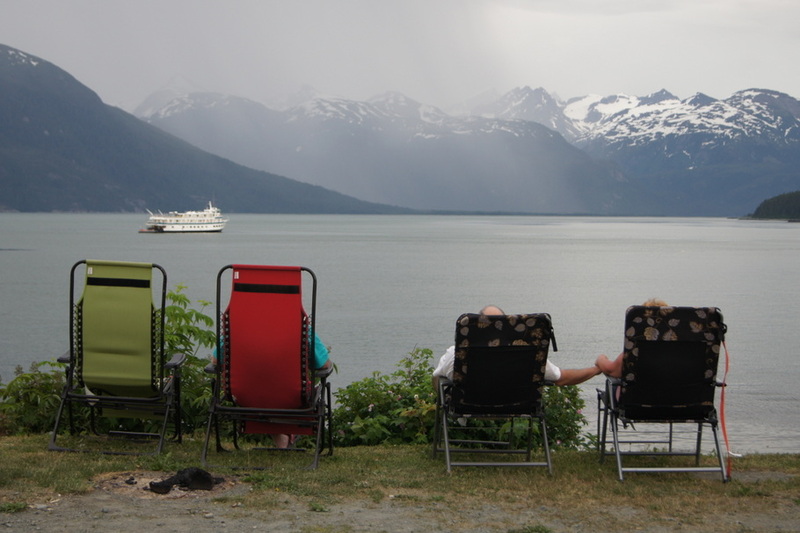 Our favorite place was Oceanside RV Park in Haines, Alaska where we could sit and watch for whales, watch eagles fly by, and watch the ferries and cruise ships sail by. 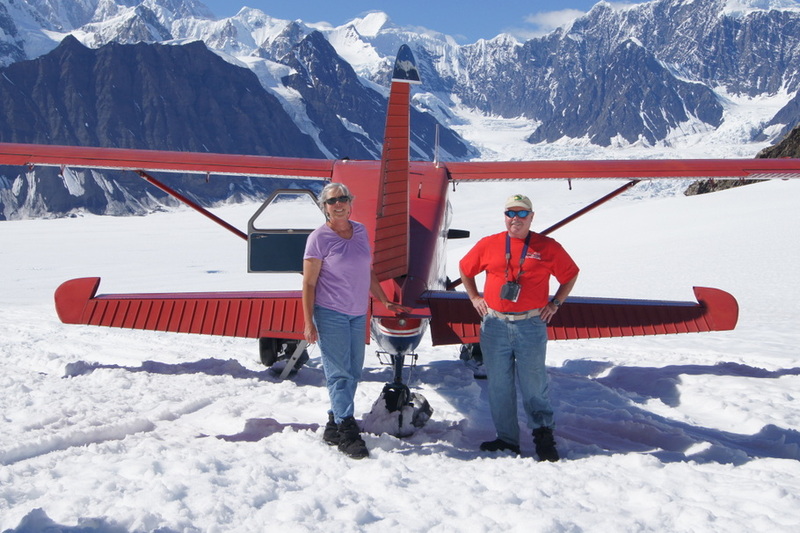 The most exciting and most memorable experience of the entire trip was the South Face McKinley flight-seeing tour and landing on Ruth Glacier with Talkeetna Air Taxi. We loved all of the boat trips we took. 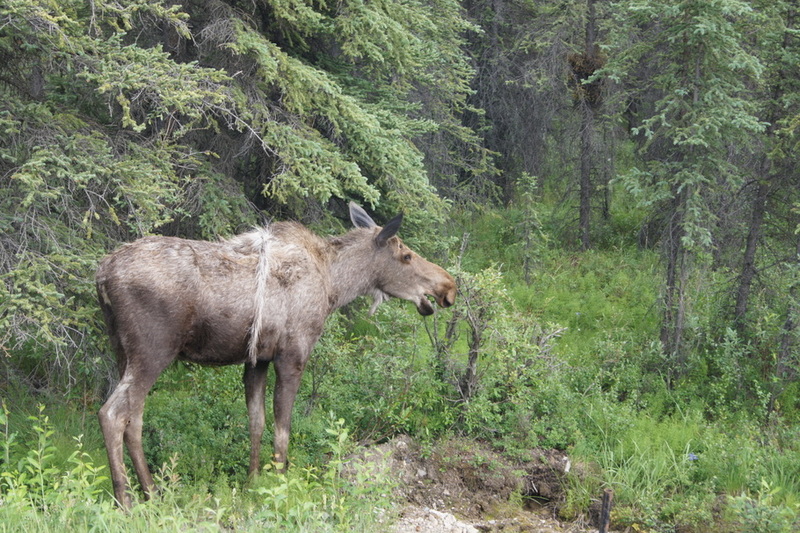 Driving to the Coldfoot, sixty miles north of the Artic Circle was a drive to remember. Catching Halibut and watching the sunset in Ninilchik, Alaska. Driving the Top of the World Highway, panning for gold, going for a train ride on the Alaska Railroad, watching for wildlife on the side of the road, seeing the Fireweed blooming everywhere, seeing glaciers off in the distance and up close are all highlights of the trip we will never forget. Every day was memorable, every day was special, every day we saw something spectacular. Day 69: Tuesday, July 23, 2013. 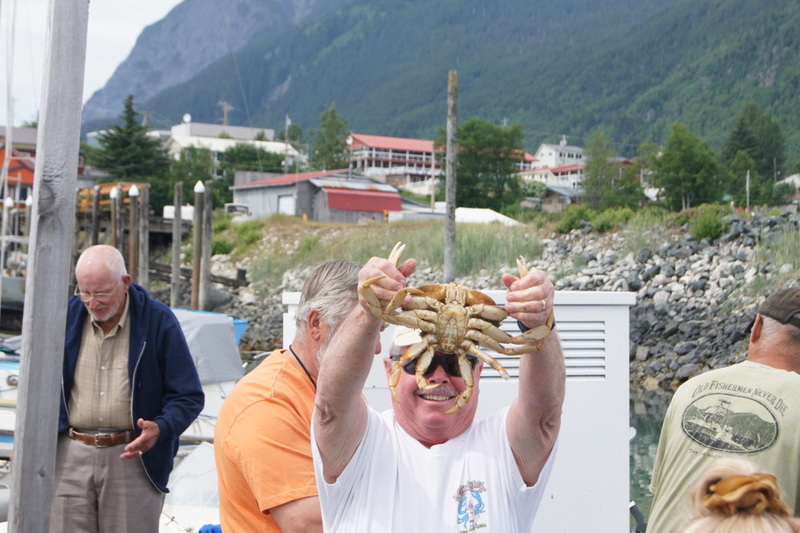 Alaskan Angler RV Park to Deep Creek Beach State Park, Ninilchik, Alaska. About 3 miles traveled. We broke camp and moved to Deep Creek Beach State Park on the beach in Ninilchik. From our campsite we can see volcanoes, the ocean, and hear the waves crashing on the beach at high tide. I think I’m in heaven! The campground is located a short walk down the beach from the boat launch area in one direction and Deep Creek in the other direction. 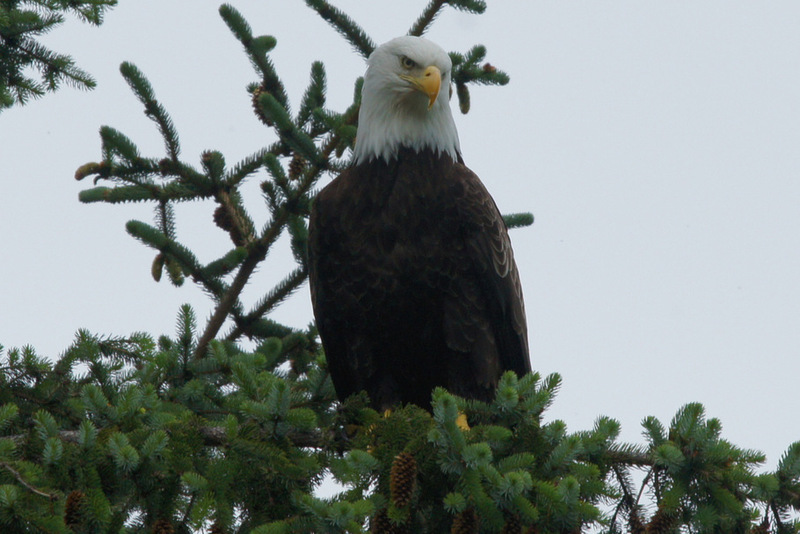 We spotted an eagle in a tree on the bluff across from Deep Creek so I headed down there to get a few pictures. He did a great job of posing for me. After I got my fill of watching the eagle we noticed the fishing boats were starting to come in so we walked down to the launch area for a few photos and videos. Here is a video of the skidder taking a boat out of the water. Right after we got back to the campsite I got a call from Ruth Ann that Ted was going out on an afternoon charter so I walked back down to the launch area to see him off. A beautiful, sunny day to fish! Our fishing charter with A Fish Hunt Charters left from here in our RV park. We walked to the office at 6:45 to purchase fishing licenses and then traveled to the beach in a passenger van pulling our boat the Afishhunt II. Karen and Mike from Minnesota rode with us. Jonathan and Kelly met us at the beach. We would be fishing through the slack tide. When we arrived in the beach the tide was going out and the sea was calm. A big relief to me! We boarded the boat by climbing up a ladder and sat in the cabin while the skidder backed us into the water. Captain Seth headed into Cook Inlet for our 45 minute ride to the fishing spot. 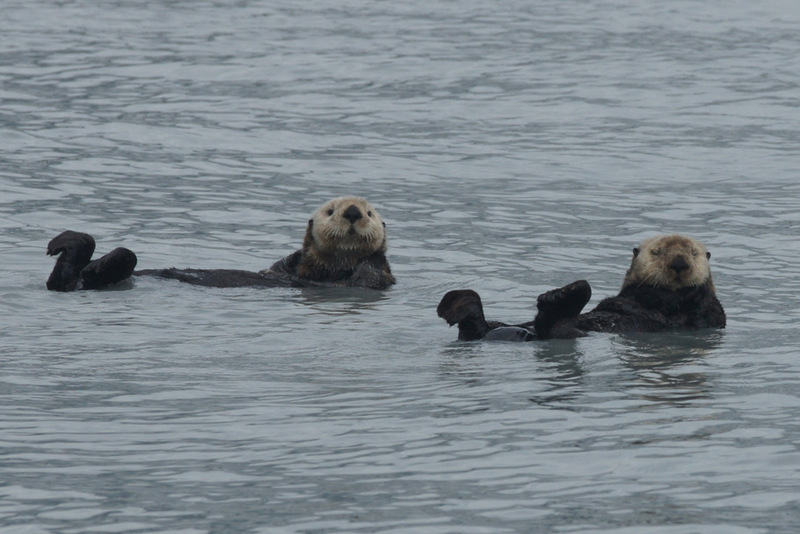 We spotted a few sea otters on our way out and enjoyed the view of the volcanoes on the other side of the inlet. The sea was like glass. I couldn’t believe our luck! After arriving at our fishing spot first mate Joey dropped anchor and gave us a lesson in Halibut fishing 101. The Halibut lie on the bottom of the sea floor so you catch them by bottom fishing. With a huge 5 lb. weight on the line and a baited circle hook, you let out the line until it hits bottom and wait for a nibble. In about 120 feet of water we had to let out a lot of line. 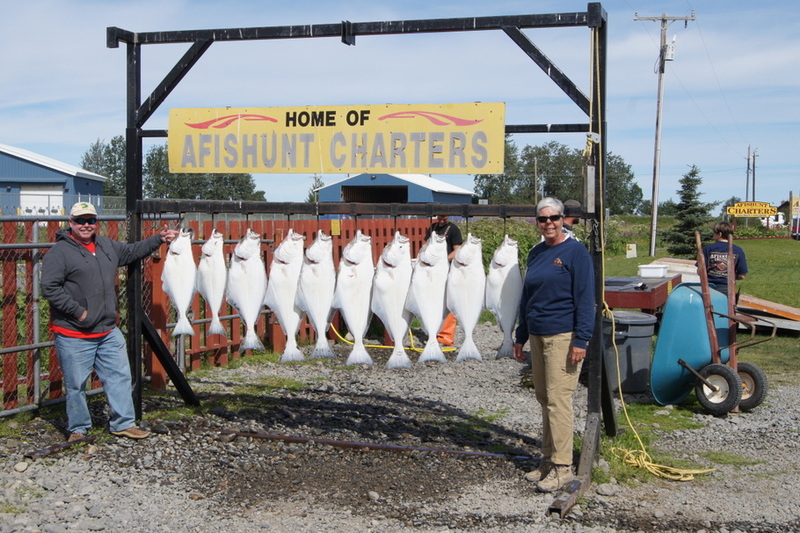 The limit on Halibut is two fish per person per day. If someone catches a fish that is too small, they can throw it back and continue fishing. When you keep a fish, it counts toward your limit. When you reach two, you give up your reel. 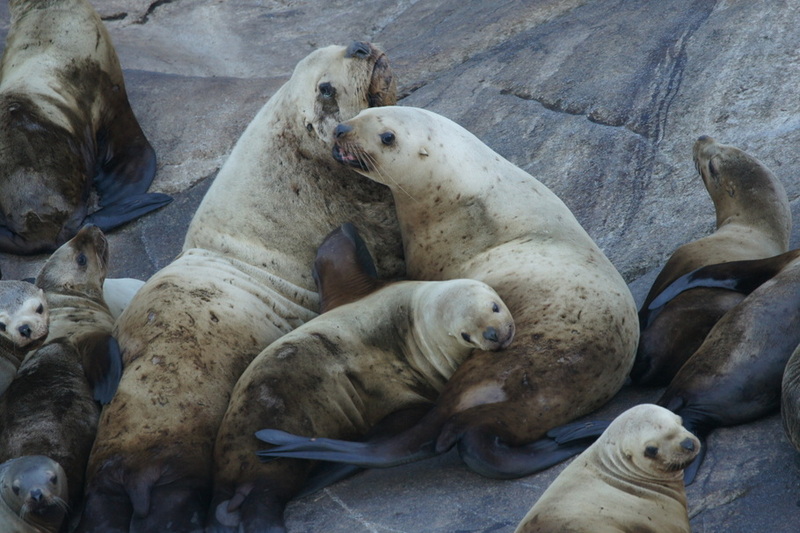 The average size is around 20 pounds although some were much smaller and some were bigger. They all looked huge to me! It didn’t take long before people started reeling in fish. Mike was enjoying the sport of catching the fish and also was going for a really big fish so he threw back about 12 before he kept his two. Everyone else threw back a couple before reaching their limit. Except me. I caught my first fish before Henry caught his first!! It was a pretty good size so I kept it. It takes a while to reel in a big fish with 5 lb weight 120 feet from the bottom! It was hard. Joey was there to grab the line to pull it into the boat and get it off the hook. No question. I was keeping it! I caught my second fish and turned in my reel before Henry caught his first fish! I grabbed my camera and my sandwich and enjoyed watching the action the rest of the trip. Kelly was hoping for a really big fish and threw back a pretty big one to continue fishing. After throwing back several small ones she was the last one fishing. She kept on going until she got a nice one. By then it was time to head back to the beach. Getting out of the water is the reverse of being launched. The skidder backs the trailer into the water and the captain drives onto the trailer. The skidder pulls up to the beach, unhooks the trailer and goes off to get the next boat. It all happens really fast. We climbed down the ladder to the beach where our friends Ted and Ruth Ann were waiting to greet us. The excited fishermen piled into the van to go back to the campground for pictures and the cleaning of the fish. A perfect day! Beautiful weather, calm seas, excellent crew, fun fellow fisherman. It was great. Henry and I had 24.2 lbs of filets between us. We kept some and had the rest vacuum sealed, frozen and shipped home. Ted and Ruth joined us for dinner. We followed Seth’s recommendation of dipping the fish in butter, wrapping it in foil with lemon and garlic and seasoning, and cooking it on the grill. Henry cooked it to perfection and I made some more red rice for Ted. A delicious feast to end the day. 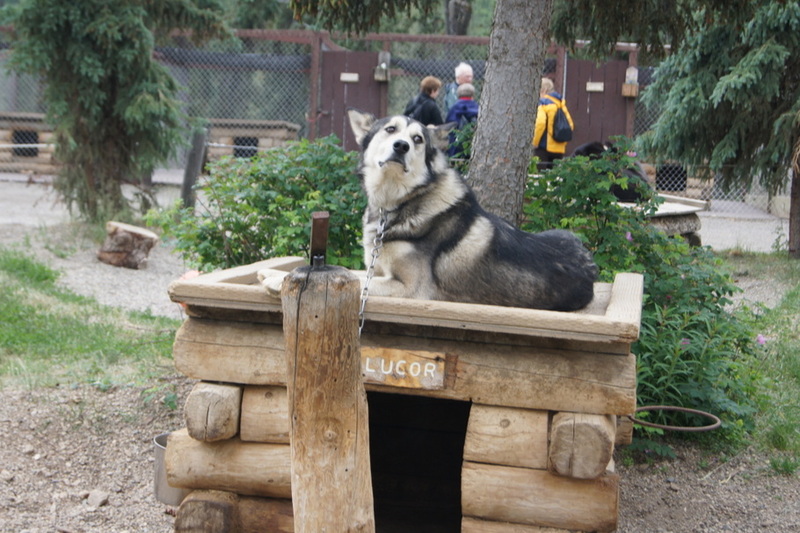 We left the city park in Seward to continue our journey through the Kenai Peninsula. 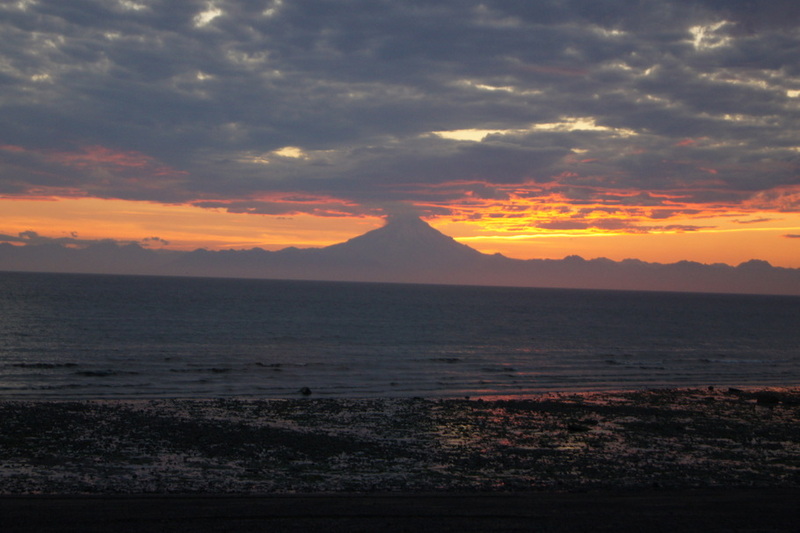 We traveled up the Seward highway and then down the Sterling Highway which ends in Homer, Alaska. 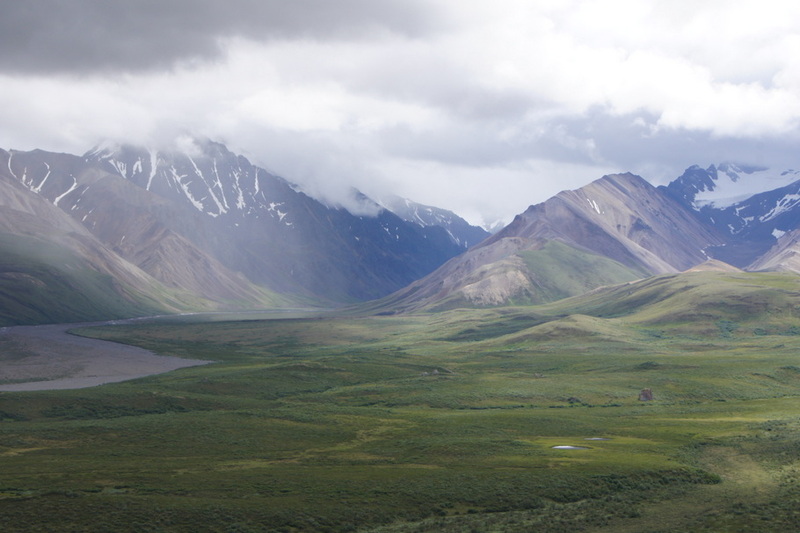 This part of the Kenai Penisula has many more villages and people than the area going to Seward. Our drive took us near the Kenai River where fishermen flock to fish for salmon. There was more traffic than we have seen for a while and we found out later the red salmon were running and it was the first day the limit went from 3 per day to 6 per day per person because of the high number of fish. We passed by the Fred Myer Store (similar to Walmart) in Soldotna where the parking lot was overflowing with cars and RV’s. After setting up camp we drove to the beach at Ninilchik to see where the boats were launched into the water. A log skidder (huge John Deere Tractor) backs the boat and trailer into the water and then quickly pulls forward leaving the boat in the water. 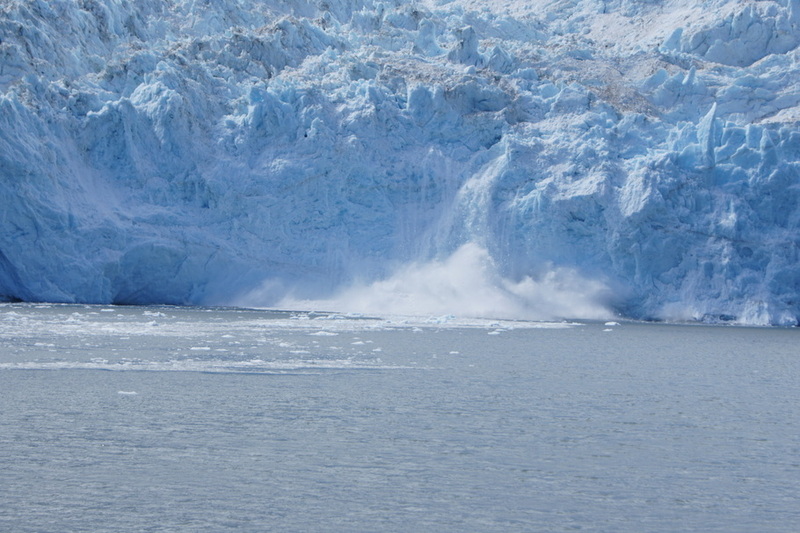 The captain fires up the engines, turns the boat around and heads out into Cook Inlet. The tide was just past high tide and the sea looked pretty rough. I was a little worried about rough seas for our fishing trip the next morning. The tides in this area are the second highest tidal change in the North America, about 22 feet while we were here. When we returned to camp we watched our friend Ted clean his catch of red salmon. He has been fishing every day and caught so many he and his wife bought a chest freezer to take them all home in their motorhome! Ted and Ruth Ann fixed a grilled salmon feast at their motorhome which was delicious. Nothing like fresh fish right from the water. I brought over some Savannah Red Rice which Ted loved. It was a great evening.